I am very happy to announce that following meetings with conciliators appointed by the Bishop of Guildford, the complaint brought against me by the Board of Deputies of British Jews has been resolved on terms set out in the Conciliation Agreement. Whilst pleased that this matter is now concluded, I am saddened that it has taken so long to reach this stage. Towards the end of 2011, concerns were raised about an article on my Facebook page which linked to a website named “the Ugly Truth.” In recognition of those concerns, I offered to meet leaders of the Jewish community but this offer was never taken up. Instead, in October 2012, Mr Arkush on behalf of the Board of Deputies of British Jews, made a formal complaint against me alleging “a clear and consistent pattern” of misconduct “unbecoming or inappropriate to the office a work of a clerk in Holy Orders”. The Board of Deputies also took the unprecedented step of publishing it in full on their website. I refrained from publishing my formal Response until the complaint was resolved. I am therefore doing so today. The complaint alleged that I had made anti-Semitic statements and had deliberately introduced my readers to anti-Semitic websites. I have always maintained that these allegations were untrue and am confident that I would have been vindicated had I been forced to contest them at a clergy disciplinary tribunal. That said, I am pleased that these issues have sensibly been resolved. As many will be aware, I have long been an enthusiastic user of new media. The internet allows us to communicate with a mass audience at the press of a button, but with it comes the risk that we might publish our thoughts without adequately reflecting on our choice of words or how they might be interpreted. I will do all I can to guard against this risk in the future. Whilst the web is a rich source of reference, it also contains a great deal of material with which one would not wish to be associated. It is important that those using new media to conduct political debate ensure that they do not inadvertently associate them with such material. It is for this reason that I have undertaken to take greater care over links in the future. In addition, my blog now contains a disclaimer identical to that which appears on the Board of Deputies’ Fair Play website. It is my sincere wish that disputes such as this will be avoided in the future. The conciliation agreement includes a number of principles that we agree those engaged in political debate should follow. They emphasize that free speech does not cease to be legitimate simply because it might cause offence to some, whilst at the same time affirming that care and sensitivity should be employed in the use of language. As someone who has been virulently attacked in the past for my political and theological views, I will do my best to abide by these principles, but my hope is that my critics will do so too. I care passionately about the safety of the Jewish people and the right of Israel to exist within internationally agreed borders. I have always opposed racism, anti-Semitism and Holocaust denial as well as Islamophobia and the denial of the Palestinian right to self-determination and will continue to do so. Jesus calls his followers to be peacemakers and to fulfil a ministry of reconciliation. The New Testament reinforces the mandate of the Jewish prophet Micah, “And what does the Lord require of you? To act justly and to love mercy and to walk humbly with your God.” (Micah 6:8). Sort Code: 08-93-00, account no 80407856. Co-op Bank SWIFT number CP BK GB 22. Bank’s head office address: The Co-operative Bank PLC, 1 Balloon Street, Manchester, M60 4EP. This entry was posted in Anglicanism, Church of England, Evangelicalism, Human Rights, Israel, Middle East, Palestine, Theology, Zionism on October 22, 2013 by Stephen Sizer. I have read with great sadness the complaint which came to you through the Board of Deputies of British Jews and Stephen’s response. I am afraid there is a pattern across many sectors of society of mobilising such complaints against people who criticise Israeli policy. I believe this to be a very misguided policy, the history of anti semitism, particularly in Europe, has caused enormous evil, persecution and suffering, but to accuse anyone who is critical of Israeli policy, anti Semitic belittles the profound significance of anti semitism. It is also being misused so widely that the accusation no longer has the power, a well informed accusation of anti semitism should have. 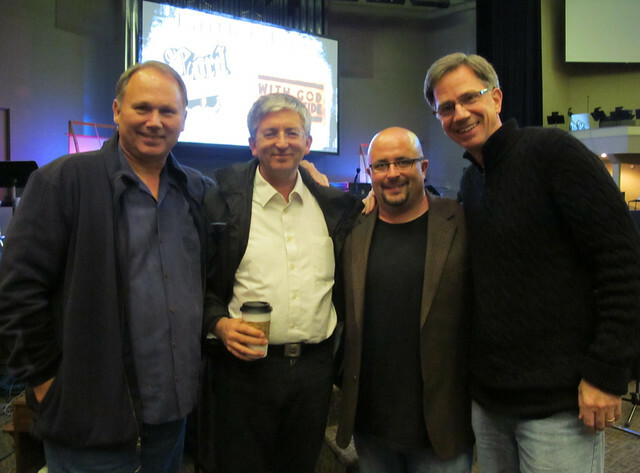 I have met Stephen at a variety of meetings and conferences and have read his most important work on Christian Zionism. I hope that you have read it. This movement is very powerful in the US and is I think gaining ground in the UK. It is a complete distortion of the teachings of Christianity and is used to justify persecution, oppression and grave breaches of international law inflicted on the Palestinian people, including the Palestinian Christians who have been practising their religion in the Holy Land since Jesus moved amongst the places in which they live. Stephen’s work in seeking peace and justice for all the people of the Holy Land follows Jesus’s teachings on the blessedness of peacemakers. Stephen is not in the least way anti Semitic. This is a disgraceful and completely false allegation and those who have made it should be held to account for their wickedness. I hope you don’t mind me saying that you have made a serious mistake in letting this complaint run on for so long and thus letting the impression be given that there is any substance whatever to this complaint. It has also wasted a lot of time and effort that should have been devoted to more important work. I would like to suggest that you consider looking at whether a case has been made and then dismissing this nonsense. Part of the evil that is being done through this complaint, and similar complaints against others, is to frighten people from speaking out against the terrible injustices being inflicted on the Palestinian people. These complaints help to generate fear that similar hurtful and damaging allegations will be made against anyone who seeks to expose the grave breaches of international law being justified by Christian Zionists and those Israelis who favour Israel expanding its control over the whole of historical Palestine and therefore oppressing the whole Palestinian people causing terrible injustice and suffering. In addition, these policies have helped to destabilise the wider Middle East and I am afraid in the long term will endanger Israel itself, as many wise Israelis have argued. I hope you will be able to use the best of your wisdom and live up to the best of Christian values in handling this complaint from now on. I would be happy to arrange to meet with you to discuss the whole situation if you would find this helpful. This entry was posted in Anglicanism, Theology, Zionism on September 18, 2013 by Stephen Sizer. 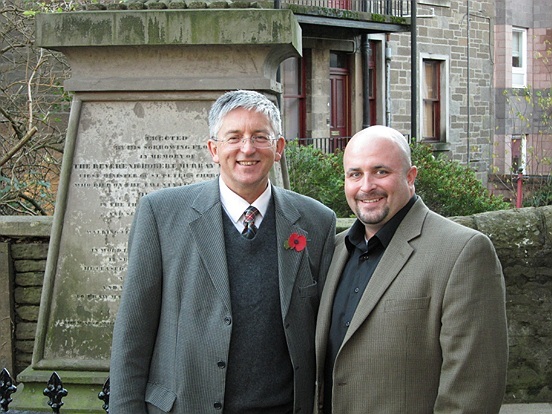 I am writing to you about Dr. Stephen Sizer whom I have known for several years. I am very concerned about recent accusations made in the press that he is antisemitic. Perhaps I should say something initially about my knowledge of antisemitism as well my involvement in a recent court case dealing with Jew-hatred as an expert witness for the Counter Terrorism Agency of the Crown Prosecution Service. I have written three books dealing with the topic of antisemitism: The Crucified Jew: Twenty Centuries of Christian Antisemitism (Harper Collins, 1992 ), Antisemitism: A History (Sutton, 2004), and The Paradox of Antisemitism (Continuum, 2006). The aim of the first two books was to trace the historical development of Jew-hatred through the ages, and to illustrate its evil nature. The third book was designed to demonstrate the paradoxical nature of antisemitism: although Judaeophobia is one of humanity’s greatest crimes and must be eradicated wherever possible, the Jewish people have paradoxically survived due to persecution and suffering. Our agonies have drawn us together and enabled us to endure: this may be the meaning of the concept of God’s suffering servant. On the basis of these and other publications, I was hired by the Counter Terrorism Agency of the Crown Prosecution Service to be an expert witness in an important trial of two individuals who had disseminated antisemitic material on the internet. 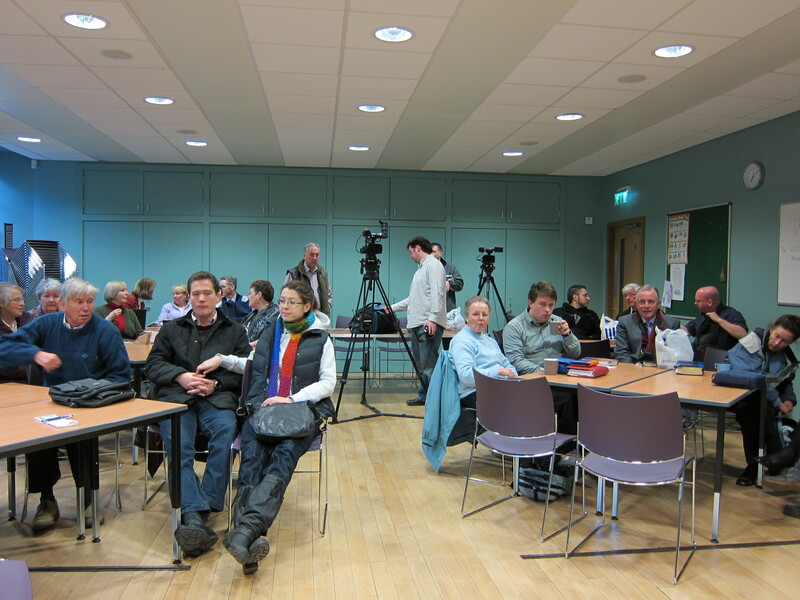 The trial took place in Leeds in 2009 and was dealt with by two separate juries. Eventually the two defendants, Simon Sheppard and Stephen Whittle, were found guilty of inciting racial hatred against Jews (and others) and were sent to prison. This was an important legal case because one of the central issues that was discussed at the trial was whether the Jewish community should be considered strictly a religious body or an ethnic group. This was critical because if the Jewish community is solely a religious group then the defendants could not be tried under the Race Relations Act. During the trial I attempted to demonstrate that the Jews are in fact both a religious and ethnic community–the jury eventually agreed, and this set a precedent for any further cases of antisemitic attack. During the trial the police informed me that the Attorney General was particularly interested in the case because of its legal significance. I mention all this because I have had substantial experience with prosecution of individuals who encourage racial hatred. Given this background, I have been disturbed to read about the allegations made against Stephen Sizer. These are, I believe, completely without foundation: there is simply no evidence that he is an antisemite. It is true that many of his writings are highly critical of Israeli policy; in this respect they echo the views of a number of important Jewish historical revisionists including Professor Avi Shlaim of Oxford University and Illan Pappe of Exeter University who in a variety of publications have castigated Israel for its treatment of the Palestinians. 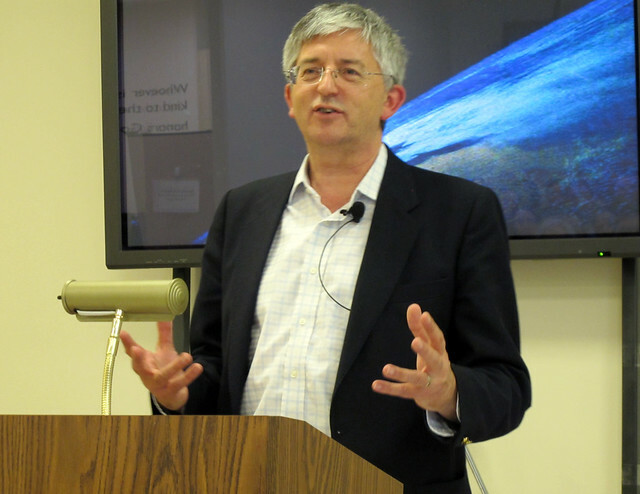 It would be a mistake to consider their views antisemitic, as it would to construe Stephen Sizer’s political criticisms as evidence of antipathy against Jews. 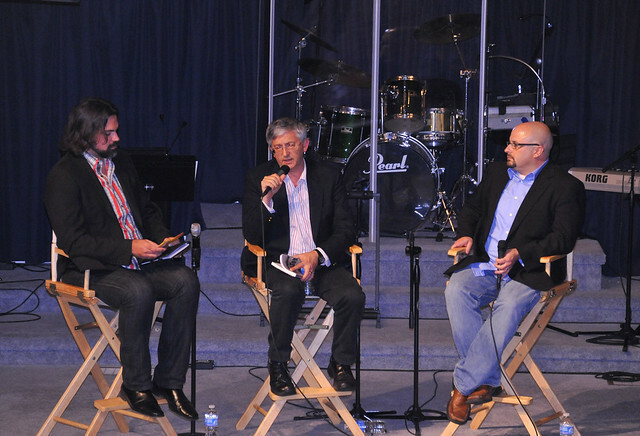 Stephen Sizer deftly expresses the many exegetical missteps of contemporary Christian Zionists. He advocates a more just and Christ-centred alternative to the politically and ethically problematic views espoused by many contemporary end-time popularizers. 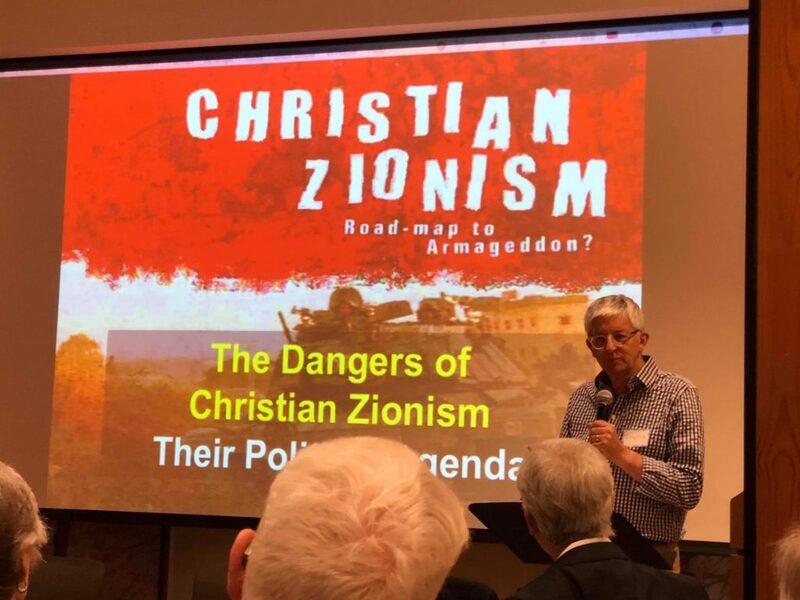 In these two books, Stephen Sizer is highly critical of Christian Zionism, yet it would be a profound mistake to interpret his views as constituting an attack on Jewry. The conviction of Simon Sheppard and Stephen Whittle is proof that if you write, disseminate and publish antisemitic racist propaganda in the UK, or on the internet from here in the UK, the police will come after you and the courts will convict. This case sets an excellent precedent– antisemitic hate is not welcome here in the UK. Having worked with the Counter Terrorist Agency of the Crown Prosecution Service, I am fully in agreement with such sentiments. We in the Jewish community must be vigilant to insure that our community does not suffer from attack. But it would be a travesty of justice to construe Stephen Sizer’s mistake in linking an offensive website to his Facebook and not removing it immediately as a deliberate attempt to encourage racial hatred. Permission to publish this letter was obtained from the author and recipient. 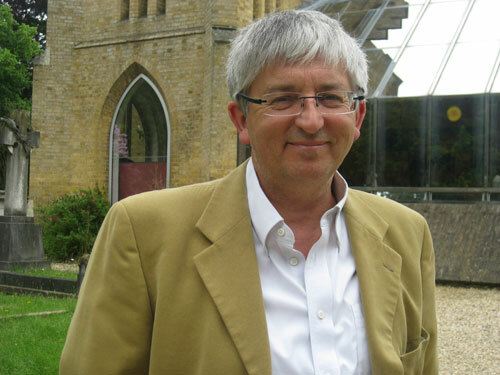 This entry was posted in Anglicanism, Christ Church, Theology, Zionism on April 25, 2012 by Stephen Sizer. Oxford University Press (2009) 338 pages. After decades of reluctance to address this deeply controversial issue, in recent years there has been a veritable avalanche of books critical of the Christian Zionist movement. Authors include Grace Halsell, Don Wagner, Timothy Weber, Victoria Clark, Dan Cohen-Sherbok, Naim Ateek, Gary Burge, as well as two books of my own. It is perhaps therefore not surprising to find a growing reaction among Jewish Zionists who have begun to come to the defence of their Christian allies. Stephen Spector’s work is representative of this genre of Jewish apologists, which includes Paul Merkley, David Brog, Shalom Goldman and Gerhard Falk. Their agenda appears to be to justify a strand within Christian Zionism that is neither popular nor representative of evangelicalism as a whole, but which nevertheless plays a strategic role within the Israel Lobby. The book purports to be the story of American evangelical Christian Zionism. It is a good read, as one should expect for a Professor of English. It would be more accurate, however, to describe it as the story of political Christian Zionism as represented by organisations such as Eagles Wings, Bridges for Peace, Christian Friends of Israel, Christians United for Israel and the International Christian Embassy. These self appointed para-church organisations have publically disavowed both proselytism among Jews as well as apocalypticism, based on a reductionist interpretation of the Bible. They are primarily lobby organisations, advocating on behalf of a Zionism among churches and in Washington among politicians. While critical of both evangelistic Christian Zionism (such as Jews for Jesus) as well as apocalyptic or dispensational Christian Zionism (such as Hal Lindsey and Tim LaHaye), Spector reserves his strongest criticisms for evangelicals who oppose Zionism on theological grounds. So, although Spector interviewed over 70 Evangelical and Jewish Zionists in the course of his research, he relies on anecdotes and paraphrases to portray the views of those he deems ‘liberal’ or ‘modernist’ who regard biblical Zionism as an oxymoron. The chapter addressing criticisms of Christian Zionism is therefore one of the weakest and least convincing. It is simply untrue to say that evangelicals who oppose Zionism “are closer to liberal mainline Protestants than to most conservative born-again Christians,” Academics at the bastions of evangelicalism in the USA, such as Fuller and Wheaton, repudiate Christian Zionism just as much as their counterparts in Europe. John Stott, the ‘father’ of evangelicalism, is not alone in describing ‘Christian Zionism’ as ‘biblical anathema’. 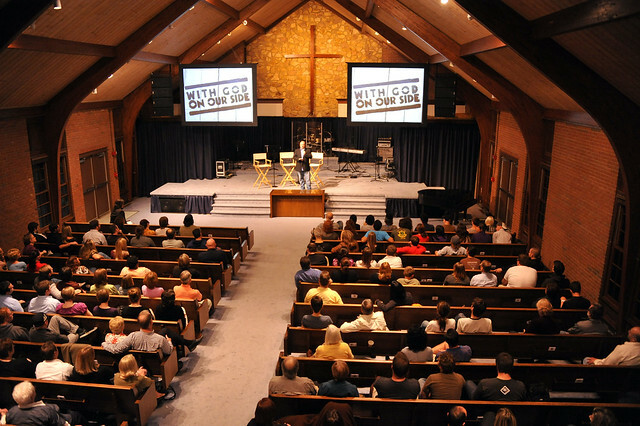 If evangelicalism is defined by the centrality of the gospel, the necessity of a personal faith in Jesus Christ, in the authority of the Scriptures and in the verbal proclamation of the gospel to all nations, it is actually Christian Zionists who, having reinterpreted the gospel and disavow proslytism, are closer in spirit to mainstream liberalism rather than conservative evangelicalism. It is therefore not surprising that it is in assessment of the biblical and theological presuppositions of Christian Zionism that the book is probably at its weakest. While strong on dialogue with Jewish and Christian Zionists, there is little evidence that Spector understands the theological presuppositions and tenuous biblical basis for the various strands of Christian Zionism. He is reassured that none of those he interviewed tried to convert him and that evangelical Zionists can share the gospel in acts of kindness toward the Jews rather than through proselytism. This is not evidence of the orthodoxy of Christian Zionists, just the opposite. While Old Testament Bible verses are occasionally quoted without context to demonstrate that Zionism is biblically rooted, it is the evangelical critics of Christian Zionism, according to Spector, who ‘unfairly’ quote ‘the biblical prophets to attack the modern state of Israel’. The fundamental question Christian Zionists avoid is whether the coming of Jesus Christ was the fulfilment or the postponement of the promises God made to Abraham? Which is central to the New Testament – Jesus or Israel? Ironically, Christian Zionists are portrayed as the new Zealots. Like their 1st Century forebears, they are trying to impose a Jewish kingdom by force, something Jesus repudiated. Spector cites, for example and without comment, Jack Hayford as promising, “if the Israelis need soldiers, he and his Pentecostal congregants will fight side by side with them.” Portraying the modern state of Israel as God’s chosen people on earth, the role of the Church is therefore reduce to providing dubious justification for Israel’s colonization of Palestine. Disappointingly, for a book with 82 pages of notes and indexes, there is no conclusion or summary chapter. It is as if the publisher has left it out by mistake or needed to reduce the word count. Whatever the reason, the book is weaker for it. Instead, the last chapter is given to an assessment of the influences on George W Bush’s Middle East policy. Here Spector tries to downplay the impact of the Israel Lobby. Without really explaining why, he would have us believe there is “broad and deep support” for Israel in America because “that position is politically sound and morally just, not because of political pressure or influence” from evangelicals. Ironically, he gives the last sentence in the book to Hal Lindsey. If first impressions count, the eulogy on the back cover from Abraham Foxman, National Director of the Anti-Defamation League, must surely be the kiss of death to any work claiming to be balanced or objective. One surprised Cambridge academic did ask me rhetorically, who on earth could have possibly vetted the book for Oxford University Press? One wonders. But then it is worth remembering that it was the Oxford University Press who published (and still publishes) the first Christian defence of Zionism, namely the Scofield Reference Bible. This entry was posted in Bible, Israel, Theology, Zionism on February 5, 2011 by Stephen Sizer. Sami, Ahmad, Yonatan come from radically different backgrounds in a land of unending war. Yet, against all odds, including some within their Israeli and Palestinian communities, they are able to find common ground. They walk a path of nonviolence struggle in lockstep with Martin Luther King and Mahatma Gandhi. For them courage is found not in taking up arms, but setting them down once and for all and extending a hand in peace. This is a ‘must see’ film. This entry was posted in Middle East, Palestine, Theology, Zionism on May 26, 2010 by Stephen Sizer. I’m in Colorado Springs tonight in the home of film producer, Porter Speakman. I’m in the USA to promote our new film With God on our Side. But tonight we are watching someone elses film. 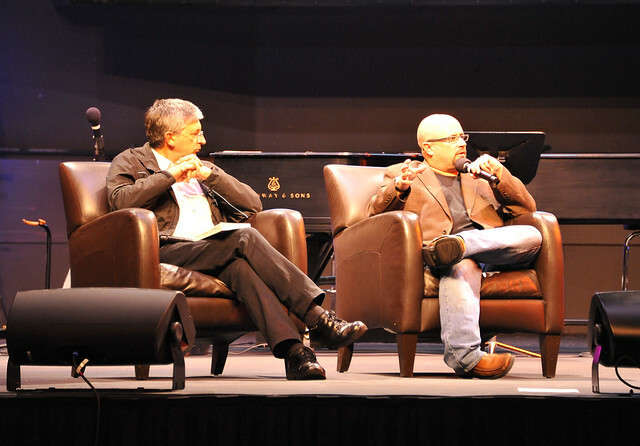 Little Town of Bethlehem is produced by Sami Awad and the Holy Land Trust. It is utterly brilliant. It tells the story of the Arab-Israeli conflict and why non-violence is the only solution to the conflict. If you care about the security of Israel and/or justice for the Palestinians, you must see this film. If you want to be part of the solution instead of the problem, make this film a priority and spread the word. The film follows the story of three separate men, each from a different religion, who grew up in the Holy Land amidst perpetual war and constant conflict and finding the courage to end violence through nonviolence. “Little Town of Bethlehem” shares the gripping story of three men, born into violence, willing to risk everything to bring an end to violence in their lifetime. All shaped by events of their Palestinian and Israeli upbringing—find inspiration in the words and actions of Martin Luther King Jr. and Mahatma Gandhi. Immersed in an environment of turbulent political and religious forces – and a perpetuating cycle of violence – each of the three men struggle independently to use non-violent conflict to change the paradigm. As their separate stories converge, they begin to find the commonality that bands everyone, regardless of beliefs, in their quest for peace. They believe that violence can indeed be stopped but recognize their own struggles will remain. Yet they will struggle together to discover a common humanity through non-violent action. In the city of Bethlehem where it is said God became man, these men stand alongside others whose central desire is to be accepted and treated as fully human. This entry was posted in Bible, Human Rights, Israel, Middle East, Palestine, Zionism on May 2, 2010 by Stephen Sizer.